The plan covers accidents, injuries, illnesses and more, and features simplified reimbursement based on percentage of invoice. The plan also allows for the insured to visit any veterinarian, specialist or emergency clinic in the U.S. or Canada. The reimbursement will be paid on a percentage customers select when enrolling for the coverage — 100%, 90%, 80% or 70%. 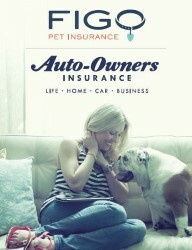 Deductibles and coverage limits apply on an annual basis and can be customized to fit the needs of the pet and owner. Complete coverage is designed to be easy for you to use and understand, including paperless claims, cloud-based technology. Electronic payments, text messages, e-mails, alerts, pictures, medical records, adoption records, bills, pictures, on-line pet tags and mapping (parks, veterinarians, pet-friendly hotels, pet daycare, pet stores, groomers) are all available with your coverage. By providing coverages you’re looking for and straightforward, paperless reimbursement process, pet parents will have one less thing to worry about as you help your furry family member recover from a recent veterinary visit. With complete coverage, each type of coverage — accident, illness, hereditary and congenital, and behavioral — includes exam fees, diagnostics and treatment. Even the most advanced treatments are covered, like chemotherapy and surgery, even stem-cell therapy and acupuncture. Accident coverage would start just five days after enrollment. Coverage for illnesses, ligament issues and hereditary and congenital conditions start 14 days after enrollment. Exclusions to the plan include pre-existing conditions, cosmetic procedures and breeding costs. This means that conditions that occurred before coverage begins or during a waiting period will not be covered; however, an injury or illness that is cured and free of treatment and symptoms for 12 months prior to the start of the policy will no longer be regarded as pre-existing. Elective, cosmetic procedures, such as tail docking, ear cropping, and claw removal are not covered, costs associated with breeding and pregnancy are also excluded. Those enrolled in the coverage also have the option to add preventive coverage for an additional cost, which provides reimbursement up to a scheduled annual amount for covered services that help protect pets from getting sick, such as an annual wellness exam, vaccinations, dental cleaning or spay and neuter. These preventive care options are offered at three levels of coverage based on the need of the pet, which include Essential, Preferred, and Ultimate.